The Insurance Institute for Highway Safety (IIHS) released a new report validating driver-assistance technology’s efficacy in significantly reducing collisions when compared to vehicles operating without it. Leading school bus manufacturer, ICB Bus, has developed new driver- assisted technology that will help save students' lives. Their new electronic stability control improves a bus' maneuverability on slippery roads while their new collision mitigation technology can automatically apply breaks if it senses danger. This technology will provide greater peace of mind to parents who rely on school buses to safely transport their children to school. 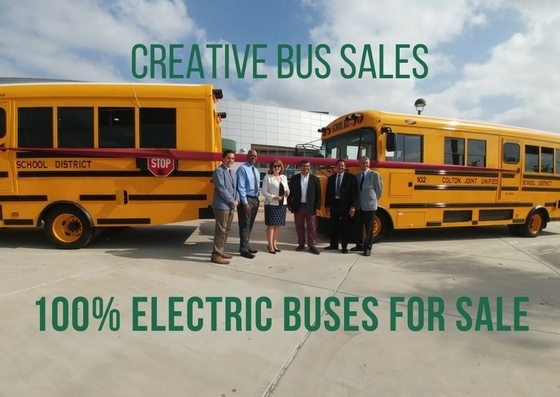 Why work with Creative Bus Sales? The Americans with Disabilities Act, which is commonly referred to as ADA, became law in 1990. The ADA prohibits discrimination against individuals with disabilities in all areas of life including transportation and protects the rights of disabled individuals to access walkways, use of public and other facilities like restaurants, and generally enjoy the same level of access as non-disabled people. This also includes equal access to transportation. The general rule that applies under the ADA is that all limits on accessibility to transportation for disabled individuals must be removed if it's reasonable to do so. In addition, facilities used by these operators are also subject to regulation for equal accessibility. For the purposes of this blog, we will focus on the vehicles only. In order to optimize the life of your bus, to prevent the possibility of malfunctions, and to reduce the cost of repairs, preventative maintenance in conjunction with having quality parts is the perfect solution . Fortunately, at Creative Bus Sales, we understand the importance of regular service and parts performance and thus, provide our customers with access to only the best products and services currently available on the market. Continue reading to learn more bus service tips from our experienced team at Creative Bus Sales. For many communities, a church bus symbolizes more than just a method of transportation. Buses are a convenient way to help children get to and from programs that help them discover and practice their faith, aid in mission trips, allow parishioners to attend church events, and more. 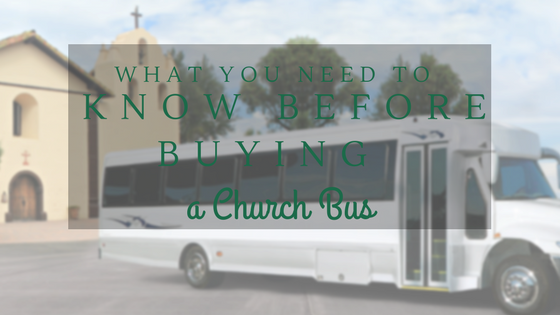 At Creative Bus Sales, we understand that all church communities have a unique set of needs. It is our mission to provide each of our customers with high performing luxury vehicles that meet your requirements, and more. Diesel-powered buses may soon become a thing of the past, and for good reason. Traditional buses pollute the environment, resulting in poor air quality which affect your health. Asthma attacks are triggered by pollution like NOx emissions. In addition to dangerous emissions, rising fuel costs also have transit agencies searching for viable alternatives. As a result, electric buses are finally taking their turn in the spotlight. These buses offer great fuel and operational savings and zero emissions. 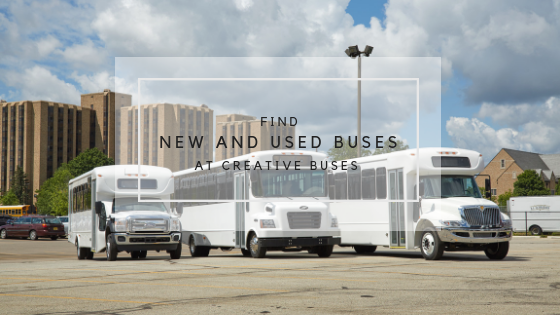 You can work with the team at Creative Bus Sales to find your new Alternative Fuel Vehicle. Colton Joint Unified School District (CJUSD), in San Bernardino County, California is on the road to sustainable student mobility with the delivery of two all-electric, zero-emission, American-made Type C Starcraft eQuest XL school buses from Creative Bus Sales, Inc.
Electric power train technology has progressed to the level where we can finally have zero emission school buses in areas where we need it most. In August, funded in part by a grant through the California Energy Commission (CEC) and the South Coast Air Quality Management District, two electric buses were delivered to the Colton Joint Unified School District (CJUSD) in San Bernardino County, California. These electric buses deliver best-in-class performance in safety, driving experience, and range by using a versatile and modular all-electric powertrain. These zero-emission school buses have flexible seating, support wheelchair access, and can be configured to accommodate up to 8 wheelchairs for routes with special needs children. Built on Ford’s F59 chassis, the buses provide a maximum capacity of 48 passengers and a range of up to 85 miles on a single charge. Electric school buses not only benefit the environment but they also protect our children from harmful fossil fuel emission. In addition, the increased adoption of electric school buses has created more employment opportunities in California. 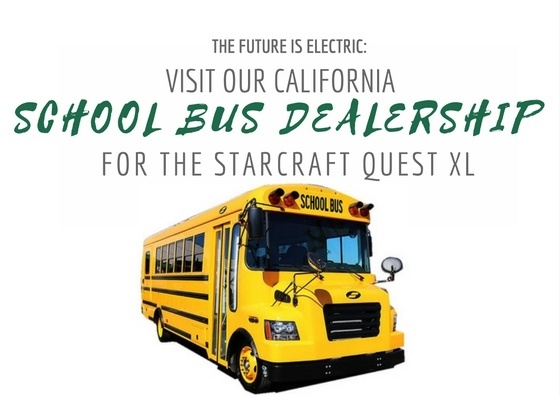 Discover the Starcraft Quest XL school bus fleet, the newest addition in safe, reliable, and environmentally-friendly student transportation available at Creative Bus Sales. Throughout the country, wheelchair users struggle to find safe and reliable transportation to just the basic services. Public transportation for handicapped individuals is not the most reliable and often must be arranged days in advance while private vehicles are too costly for a majority of individuals those who need them. Having the right accessibility has become a bigger issue in the industry, yet it is still only becoming harder to find. 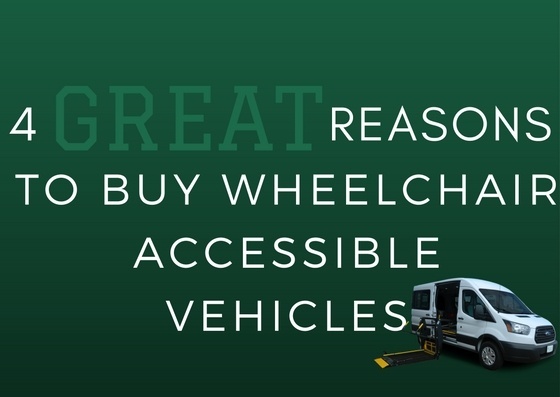 However, when you buy wheelchair accessible vehicles you stand out from the competition by providing this much-needed service. 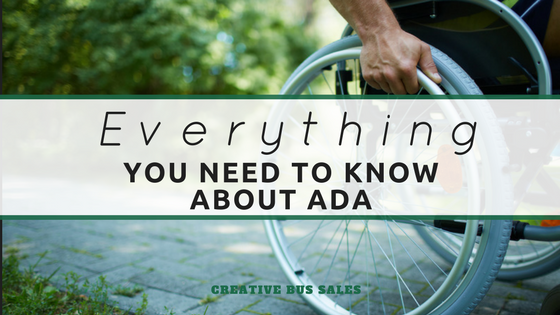 Here are just four reasons to add a wheelchair accessible bus to your fleet. With social media at customer’s fingertips, any negative experience with a company will quickly spread, which can potentially cost the company significant money in lost revenue. When the problem is due to insufficient accessibility for wheelchair users, the fallout can be devastating for both up-and-coming and established businesses. With summer well underway across the country, older buses are starting to feel the heat. Coming to the realization that you might need an upgrade becomes undeniable when a heat wave hits and your AC is blowing hot air. 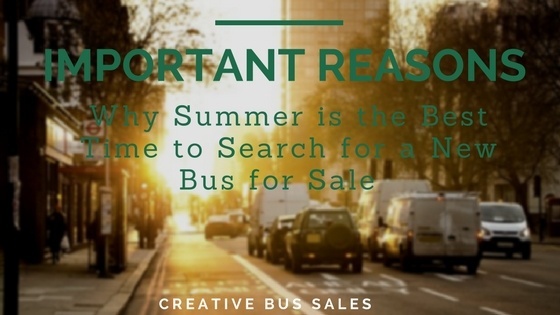 Here are five important reasons to begin your search for new buses for sale this summer. Due to increased usage and higher temperatures, older buses tend to break down more often in the summer. For businesses that rely on summer travel dollars, this down time can be detrimental. Don't let a single down day eat into your profits. 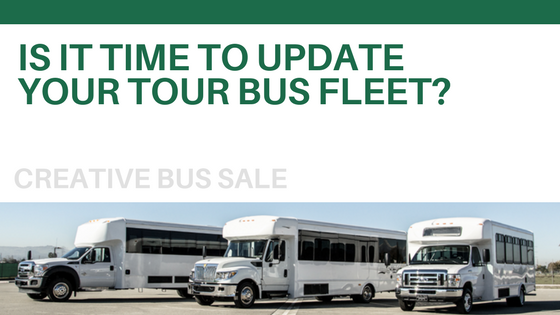 Search for new buses for sale and prevent these delays before they affect your bottom line. With temperatures reaching well above 100°F for a good portion of the United States, air conditioning is vital for the health and safety of your customers and employees. Older buses may not have efficient AC units and may run the risk of a malfunction that could put your customers and drivers in danger. This is particularly true for businesses that service the elderly and young children. Is It Time to Update Your Tour Bus Fleet? Knowing when to stop putting money into a bus and when to purchase a new bus can be a difficult balance. Buses can be either money makers or money pits for tour companies throughout the United States. Here's how to tell if you need to update your tour bus fleet this summer. The biggest telltale sign that it's time to upgrade is the current condition of your fleet. Older buses or those with visible wear and tear should be replaced with newer models. Also, if you have buses that had more out of order days than days in service it's a good indicator that you should update your tour bus fleet. The older your fleet, the higher the maintenance costs, particularly if your models have been discontinued because parts may become difficult to find. If you have noticed that your costs are beginning to rise, it might be worth investing in new tour buses. 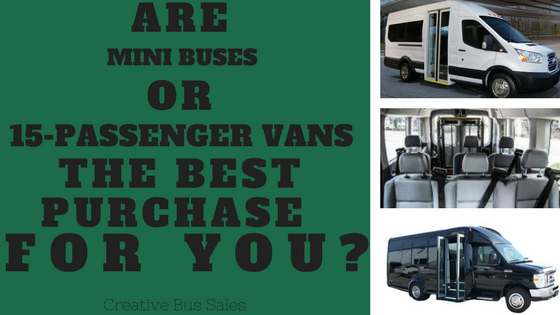 Are Mini Buses for Sale or 15-Passenger Vans the Best Purchase? There has long been a debate between whether the 15-passenger van or the mini bus is the best option to safely and comfortably transport up to 16 people. Here at Creative Bus Sales, we'd like to help end this debate using the four most important features: safety, comfort, capacity, and customization options. Every day nearly 100 lives are lost due to motor vehicle accidents, making safety the number one most important feature. Most mini buses for sale come standard with the latest in safety features, including reinforced roll cages. In fact, they are designed with passenger safety in mind. Depending on the model, a CDL may be required, further improving safety by requiring professional driving. Whether your customer is heading to the airport or a music festival, everyone loves to travel in style! The Executive Coach Buses at Creative Bus Sales provide all the benefits of on-demand transportation with luxury and style. 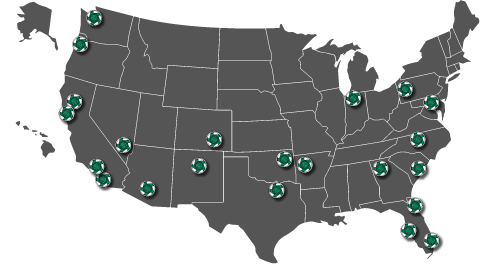 Maintaining a top of the line fleet for sale can return on your investments. 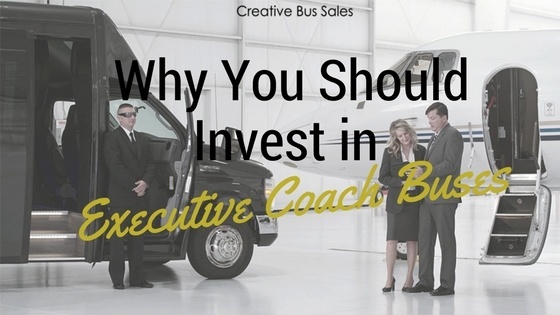 Here are sixreasons you should invest in Executive Coach Buses for your business. Improving team dynamics through team building retreats or having top performers attend regional or national conventions is a great way to boost retention and performance. However, transportation can quickly become expensive. Owning an executive bus can reduce the costs of transportation, allowing you to partake in more of these beneficial activities retreats. 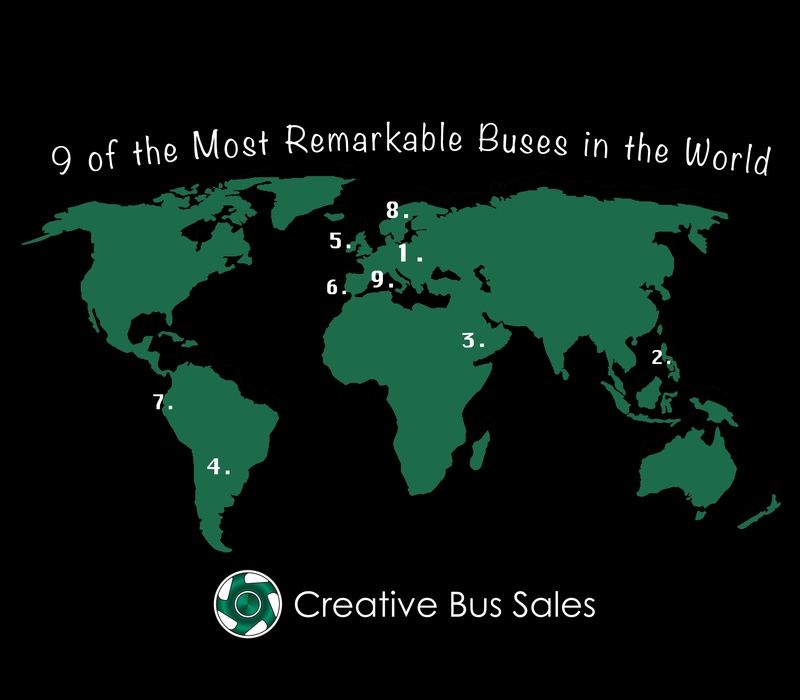 Here at Creative Bus Sales we love to honor the amazing creative bus community. All around the world, people get from here to there via bus. Here are the Top 9 strangest and most remarkable buses from around the globe. The Autotram Extra Grand- This German bus is 98 feet long and has a passenger capacity of 256.